R Baker (Electrical) Ltd specialise in the design and manufacture of custom made transformers. The company was founded in Speke, Liverpool in 1982. 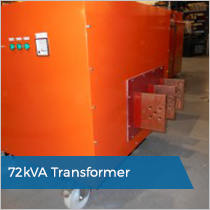 We have developed a dedicated transformer team, skilled in the design and manufacture of transformers. For the last 35 years we have manufactured custom built transformers for a variety of sectors. 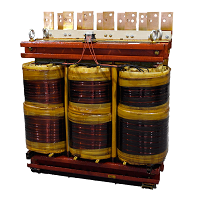 Our range includes single and three phase custom built transformers up to 250kVA. The custom built transformer range can be manufactured to generally any international standard. Each job is unique and designed to a specific standard required. With over 35 years experience our transformer team has custom made transformers for a range of unique applications. This includes, variable voltage transformers, ATEX transformers and defence application transformers. Our experience and practical expertise, enables us to provide you with a cost effective solution to meet your exact requirements. 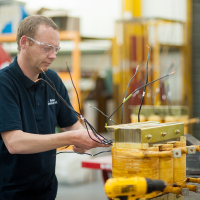 Our transformer team help customers throughout all stages of the transformer production process. We offer a tailor designed service through to onsite type testing. Our custom built transformer range can be supplied with or without an enclosure. We also offer a range of ATEX transformers suitable for use within gaseous and/or dust environments. 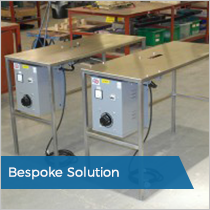 We work to your specification to produce the transformer solution that you require. Our solutions can be completely tailored to your meet your project and we will work to produce a custom transformer that is right for you. Call us today on 0151 486 6760 today to speak to one of our team. Not only do R Baker (Electrical) Ltd manufacture transformers, we also provide a full transformer rewind and repair service. The business is uniquely positioned to both manufacture and rewinds transformers up to 500kVA. Our team and premises are equipped to handle all emergency and non-emergency repairs of transformers. Regardless of brand or application, we can help with all transformer rewinds. We have a vast amount of experience reverse engineering damaged transformers. Our transformer team is one of the leading technical teams in the UK in relation to transformer rewinds. We are here to offer free advice if you have a transformer that needs rewinding or is damaged. Just call us on 0151 486 6760. R Baker (Electrical) Ltd have become a leading UK in manufacturer electrical transformers. We design and build custom made transformers for use in commercial, rail, offshore and military applications. Our team continues to provide customers with products and services built upon its founding principles. The business has been built on a total commitment to quality and building partnerships with its customers. Our dedicated transformer team can be trusted to get the job done; regardless of specification. We’re committed to providing a first rate service to each and every customer we work with. Quality is at the forefront of everything we do, which means the business is approved to BS EN ISO 9001:2015 standards. Furthermore, all custom made transformers conform to BS EN61558 and EN 60076. R Baker (Electrical) Ltd also work with all the leading testing and quality authorities such as BSI, DNV, Lloyds, NSN, Nemko and VD. 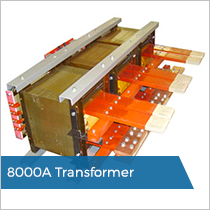 To manufacture an open style transformer designed to offer the customer 8000A at 9 volts. Our design team were required to design the transformer to be built on a movable unit which would allow the operator the facility to move the transformer into place when testing equipment. Our client required a solution to increase production within the foam packing business. Our team worked with the client to develop and manufacture a single phase variable transformer which was designed to be installed on stainless steel table. This solution was designed for heavy usage and to reduce cutting time when cutting foam sheets. We were tasked by a motor manufacturer to design a test unit which required our team to design a system with a 72kVA transformer and a drive to offer the facility for the operator to change the voltage, current and frequency. The unit was designed and manufactured within a stainless steel enclosure with a user control panel to offer ease of use.